Highsted Grammar School is consulting on its admissions arrangements for September 2020. The purpose of this further consultation is to increase our published admission number (PAN) from 120 to 150 in order to increase our involvement in supporting access of disadvantaged pupils to the school. For further information, please follow this link. Early notice! Anything planned for Saturday 15 June 2019? If you are currently in Year 5 of primary school and would like to find out what it's like to be a pupil at Highsted, come and explore the range of subjects we teach through our Wild West Activity Day. To find out more information and how to book your place, just click here. To read a report on last year's event, please follow this link and scroll down the Community Events page to Carnival of Colour: 2018 Year 5 Activity Day Report. Highsted student Evie S, Year 8, has recently been awarded a certificate for the Third Best Overall Design for Years 7-13 in the University Robot Challenge Competition 2019 – run by the Faculty of Engineering and Science at the University of Greenwich. To read more about this outstanding achievemment, please follow the link. On Thursday 28 February, 366 students from Highsted and Fulston Manor schools attended an exciting talk by author Candy Gourlay. Her new book Bone Talk has been nominated for several awards including the Carnegie and Costa Book Prizes. You can read more about this event and Candy Gourlay's new book by following this link. Sing Up to Cancer raises £2500! On Saturday and Sunday 19-20 January, a number of Highsted students organised Sing Up to Cancer with a Musical, in support of Cancer Research UK. To read more about their fantastic achievement, please follow this link. Results of the recent parent governor election have now been counted. For further information, please follow this link. The 4th of January provided a day of educational enrichment for both Year 12 & 13 politics students, who were given the opportunity to visit the Houses of Parliament. To read about this story in the words of one participant, please follow this link. Highsted Grammar School is consulting on its admissions arrangements for entry to the school from September 2020. For further information, please follow this link. On Wednesday 19 December, the last day of term, staff and students wore a range of colourful Christmas jumpers to raise money for charity. The chosen charity this year was Save the Children and the school managed to raise almost £400 for this worthy cause. This year’s jumpers ranged from traditional Christmas design such as reindeer and stars to more elaborate examples such as a full Christmas scene complete with real flashing lights and three-dimensional snowmen with protruding orange noses! Thanks to all who contributed. On Friday 30 November, Highsted held its first Shakespeare Day, inviting local primary school pupils to attend a series of English and Drama workshops based around The Tempest – Shakespeare’s play about a group of noblemen who are shipwrecked on a magical island. To read more about this innovative project, please follow the link. On Monday 19 November, Year 8 students staged their annual charity bazaar in the school hall. 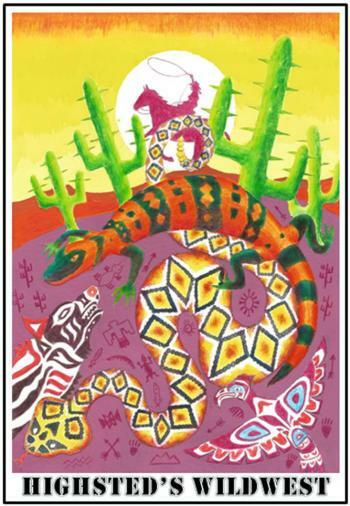 To read about this year's event, please click here. On Sunday 11 November, for the sixth and final time, Highsted students attended Swale Borough Council’s Civic Journey of Commemoration to Ypres in Belgium on Armistice Day, this year marking the 100th anniversary of the end of the Great War. To read their reflections that mark this historic trip, please follow click here. Please follow this link to read more about one hundred poppies for one hundred years. On Friday 16 November, Highsted students engaged in a lively debate with visiting politician Gordon Henderson. The entire Year 11 cohort, along with Years 12 & 13 A-level Politics and Sociology students had the opportunity to have conversations about politics and engage with local and national issues important to them. To follow this story, please click here. On Tuesday 6 November, Highsted held its annual Tea Party, celebrating a successful transition for Year 7 students from primary to secondary school and raising money for the Wisdom Hospice charity. To follow this story and see our photos, please click here. Information will also be broadcast by BBC Radio Kent (96.7 / 104.2 fm), Heart FM (103.1 / 102.8 fm) and KMFM (Medway) (107.9 / 100.4 fm). You can also check kmfm.co.uk/ (Medway area) or bbc.co.uk/kent. Please note that if such weather seems imminent, further details will be issued at that time. In these circumstances, the school website will be updated as soon as possible. Please watch this space for specific instructions or information relating to school activities. Welcome to Highsted Grammar School. 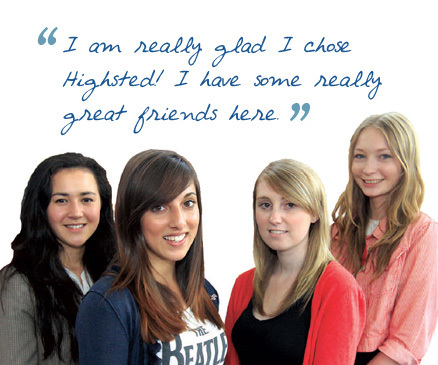 Highsted is a happy and cohesive community and an environment which liberates young women to take the risks and embrace the challenges that will prepare them for their future roles and responsibilities as leaders in tomorrow’s society. Our success is as a consequence of striking a fine balance between tradition and innovation. Our values are traditional ones and we offer an unashamedly academic curriculum. We are keenly aware, however, that we are preparing our students for a working life none of us can yet anticipate. Our focus, therefore, is on developing the skills, attributes and habits of mind that will equip our young women as life-long learners. Our aim is to launch them into the world as self-starters, focused but flexible, armed with the courage to grasp opportunities and the resilience and humour to negotiate setbacks along the way. We encourage and support our students in exploring their own potential, nurturing existing talents and interests and discovering new ones along the way. To ensure we enable each and every girl to fulfil her potential, an emphasis is placed on personalisation, on proactive mentoring and on pastoral care. Our students will embark upon adult life conscious of their worth, ambitious for their futures and aware that they are lucky indeed to have been educated here. Highsted is a very special school. If you want to see how special, you are warmly invited to pay us a visit. CEOP is a command of the National Crime Agency and is here to help children and young people. We are here to help if you are a young person and you or your friend (up to age 18) has been forced or tricked into taking part in sexual activity with anyone online, or in the real world. We also have advice and links to support for other online problems young people might face, such as cyberbullying and hacking. Visit our Safety Centre for information, advice and to report directly to CEOP, by clicking on the Click CEOP button on the top right of our website. We collect and use pupil information under section 537A of the Education Act 1996, and section 83 of the Children Act 1989. We also comply with Article 6(1)(e) and Article 9(2)(b) of the General Data Protection Regulation (GDPR). To access our Privacy Notice please follow this link.